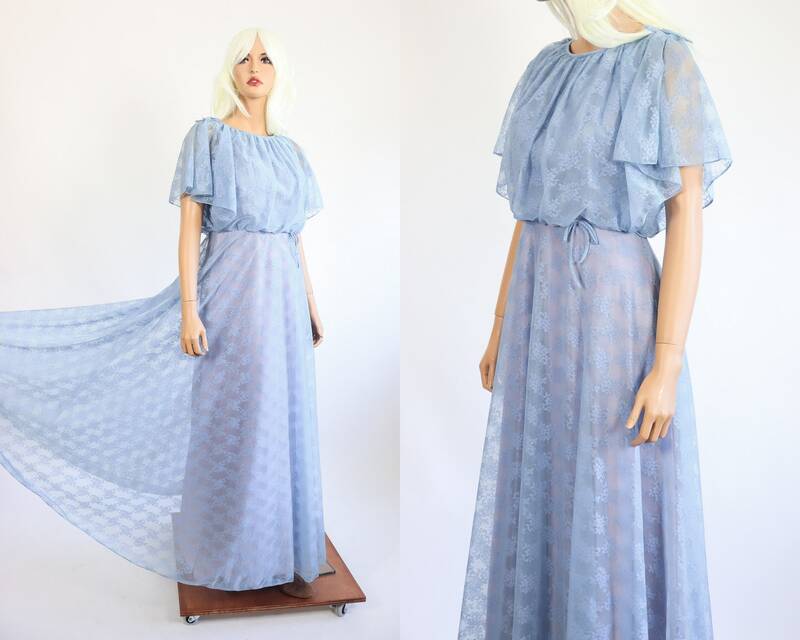 Amazing and breathtaking vintage shimmering baby blue gown. Features sheer lace over a lavender underlayer. Magical gathered bodice and showstopping full sweeping skirt. Such a whimsical piece! Condition notes: Previous owner took in the shoulders a little bit. They could easily be taken back out. There are spots on the inner layer and some underarm discoloration on the inner layer. Examples of these are shown in the last photo. Neither of these things can be seen from the outside. Sold as is and is a final sale.